The Spirit of Churaki rides the perfect wave between rocking surf tunes, laid back oceanic beats, beautiful ballads and the ancient sounds of Aboriginal language, all accompanied by moving and evocative visuals. Inspired by a heroic and largely unknown story, this concert honours Churaki, a Goodjingburra man, known for carrying out daring surf rescues in the early 1900s. Starring a line up of legendary Australian musicians under the musical direction of Brian Ritchie (Violent Femmes) and cultural collaborator Kyle Slabb (Banaam), the ensemble includes Greg Sheehan, genre-traversing classical and electric violinist Veronique Serret, acclaimed bassist Sam Pankhurst, Fred Leone, award winning songwriter Leah Flanagan, the soulful Colin Usher and the Slabb family who play across traditional percussion, bass, ukulele and vocals. A heroic story, largely unknown, The Spirit of Churaki honours a rich lineage of saltwater people, a spirit of generosity, a deep connection to country and cultural obligation. 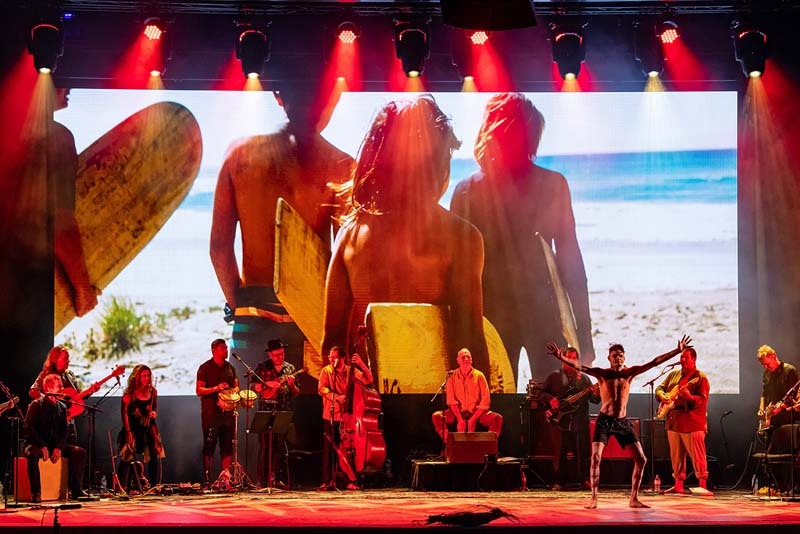 Inspired by the story of Churaki; an Aboriginal man heralded as the Gold Coast’s first surf lifesaver, starring an extraordinary line up of legendary Australian musicians under the musical direction of Brian Ritchie (Violent Femmes) and cultural collaborator Kyle Slabb (Banaam), this production is a musical collaboration united by the spirit of the surf.